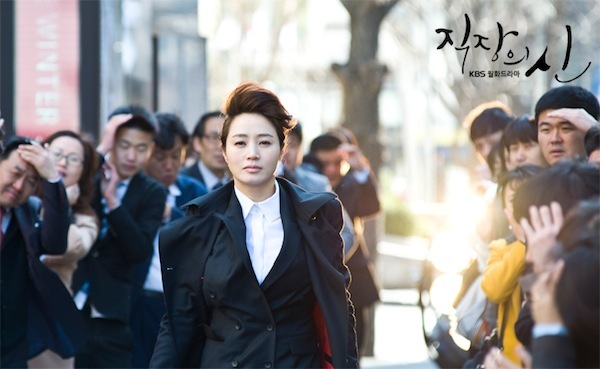 Temporary employee Ms. Kim (Kim Hye-Soo) is a remarkable woman. She possesses highly advanced skills in seemingly all work fields. She's also highly confident and always sticks to her ideals. 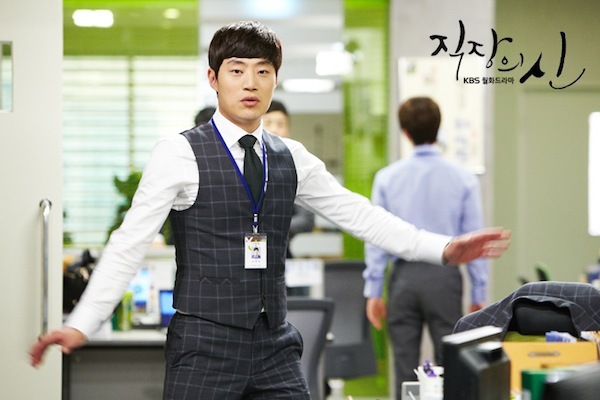 Jang Kyu-Jik (Oh Ji-Ho) is a hot-shot foreign educated MBA, hired to turn around a flagging corporation. As they begin work together at their new jobs, can they ever co-exist? To turn around their declining fortunes, Y-Jang Coporation hires Jang Kyu-Jik, who just finished his MBA course in America. Kyu-Jik will work as the team leader of the marketing sales division. On the airplane ride to Korea, Jang Kyu-Jik sits in business class and becomes curious about the offerings in the first class section. He finds an empty seat in the first class cabin and begins to munch on a rice cake that is available on a food tray. At that time, a hippyish dressed woman stands over him and tells him he is sitting in her seat. While Kyu-Jik leaves her seat, he begins to choke on a rice cake. The unusually dressed woman is able to save Kyu-Jik's life by using sudden force. Thankful for her help, all Kyu-Jik can glean from her is that she goes by the name of "Ms. Kim". On his first day at work for Y-Jang Coporation, Kyu-Jik walks happily with his old friend and now co-worker Jung-Han (Lee Hee-Joon). 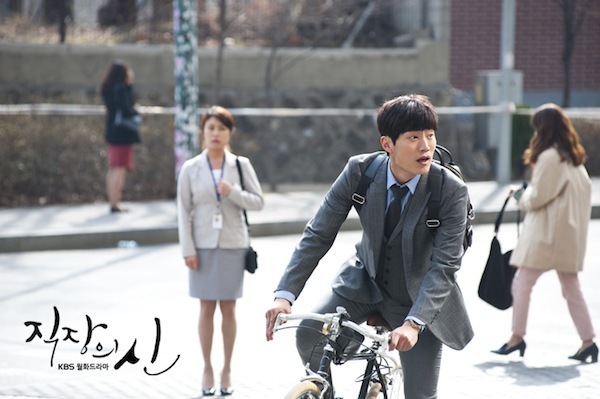 Kyu-Jik then becomes startled when he sees Ms. Kim again, this time dressed in a business suit and walking towards them. 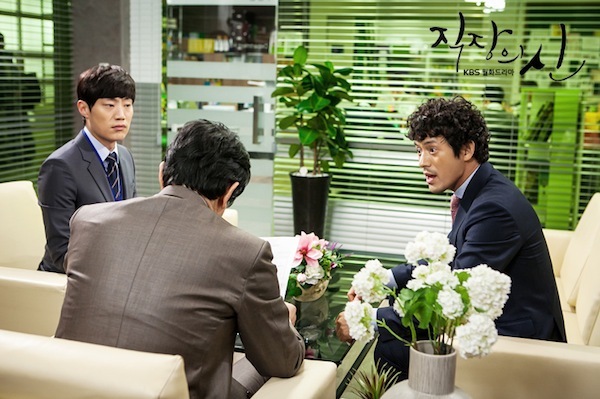 Kyu-Jik runs up to Ms. Kim enthusiastically and assumes she is a high-level executive at a nearby company. Kyu-Jik becomes flabbergasted when the human resource guy informs Kyu-Jik that today is Ms. Kim's first day at Y-Jang Coporation as a temporary employee. Kyu-Jik is baffled by the dichotomy of Ms. Kim. In a conference room, the human resource guy hands Kyu-Jik and Jung-Han what looks like an instructional manual. The instructional manual is actually a detailed list of guidelines of what Ms. Kim will do and will not do. Some of those stipulations include working at Y-Jang Corporation for a period of 3 months only, working only from 9-6PM and never working on holidays. Kyu-Jik becomes furious when learning about all of these clauses from a mere temp worker and even more so that his company agreed to abide them. A highly volatile relationship begins between the headstrong Kyu-Jik and unflappable Ms. Kim. "The Queen of Office" takes over the KBS2 Mon & Tue 21:55 time slot previously occupied by "Ad Genius Lee Tae-Baek" and will be replaced by "Don't Look Back : The Legend of Orpheus" on May 27, 2013. Jay Dec 12 2018 11:20 pm I always wondered if this Kdrama is inspired by the Jdrama "Doctor X"
NDKK Apr 17 2015 11:59 am Took me a while to get used to the slapstick humor, but once I did, I never stopped laughing. 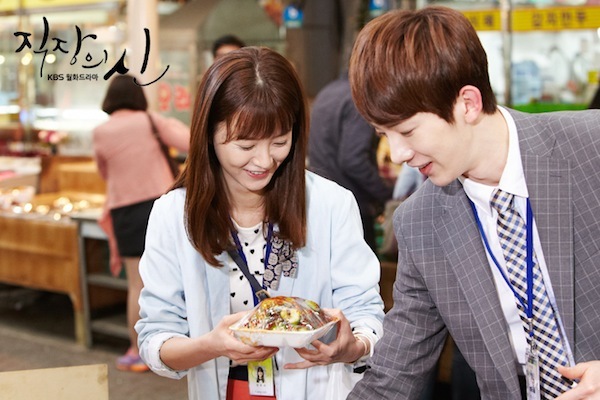 A funny, zippy yet meaningful Kdrama. Gonna miss Baba-shi and Kim-shi a lot. nay Mar 21 2015 3:27 pm So inspiring. never find something like this, so meaningful and funy at the same time. Kim Hye-Soo is the best actress, she played the role perfectly. All the cast were doing really great, i like Oh Ji-Hoo, Jung Yu-Mee and Lee Hee-Joon. Thank u for all Queen of Office's team. marieruu Aug 05 2013 5:27 pm read the comments... seems like this is a good one. mitch808 Jul 11 2013 4:35 am Oh my garsh, The coffee scene LOL to the max (I'm laughing right now) Oh Ji Ho was really great, Whoa, the trouble and harass with Kim Hye Soo Ms.Kim! Juri's knockoff purse, LOL!! Mr. Ko LOL, Jo Kwon (2AM) What a natural, LOL! Mitch Jun 12 2013 3:09 am I hope the queen of office will be recognized and awarded by this year end. This had everything, Alot of Laugh's, heartbreak, all put together. Of course this was because of great actors (everyone of them) Screen write, producer & director, crew. Thanks for letting me enjoy this! ian Jun 06 2013 10:46 am i have been following all the dramas this year .. and i say this drama saved others from getting me disappointed in kdramas.. most hooking drama of this year as off gthe moment .. even better than of lee sung gi's gu family book because that drama got me me hooked only up to it's 2nd episode .. 3rd episode and the others succeeding were not as good as the first two the main reason why i stopped watching it..
Not since Charlie Chaplin's Modern Times, have I seen a equally poignant, touching and provoking movie/drama portraying a little guy fighting the system (in Chaplin's case it was the industrialization process). Only this time, instead of The War of The Roses (a great film in its own right with Michael Douglas, Kathyleen Turner and Denny Devito starring), it is now the Great War between the contract workers and the permanent workers struggling for supremacy in the computer age - the director's version of Karl Max's dialectical materialism in the Korean society. In this case, the very handsome and funny 오지호 is equivalent to the "Queen of Mean"(Leona Helmsley) in the male form terrorizing and bullying all the new recruits in his company in the name of streamlining and efficiency. 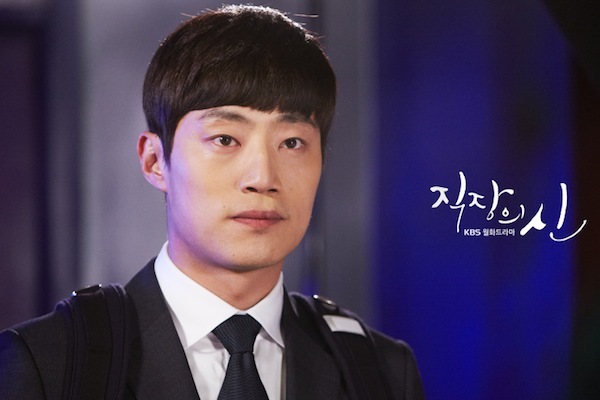 Except that, in this drama, he has met his match when he is pitted against the Queen of Office - a certain Ms Kim (the stone-faced and awe- inspiring 김혜수) , who is the unlikely professional contract worker underdog foe and nemesis, rising to the occasions and becoming a superwoman whenever she is challenged by the system. PS: Some memorable and classic one-liners ( This one is actually a one liner followed by an explanation) : " Who are Korea's top three thieves ? - "
"(Version one, in front of a marketing presentation) First is (the famous male star)Cha Chsu, the thief of women's heart. Second is Yeon Jung Hoon, the thief who stole the actress Han Ga In . And lastly, crabs marinated in soy sauce - the thieves of rice." "(An even funnier version two, spoken in front of a crowd of 아줌마 by Ms Kim) First is the husband who stole your heart. Second are the children, who robbed you of your slender figure. Third are the soy sauced crabs, which will rob you of your rice. " ㅠㅠㅠㅠㅠㅠㅠㅠㅠㅠㅠ So funny , yet so sad for the female audience ...............박수 !!!!! rheyzhel11 May 13 2013 7:25 am omg... i so love the queen of office...cant wait whats more to come with ms kim and mr cabbage patch head..so cute and funny. Myles May 12 2013 6:57 am You won't regret watching it. It hilarious.... I like it very much coz' its so funny. Lead Characters are also portraying their roles with their best. They look good together too. Whoa, those curly hair when it was straigthen.. hay! 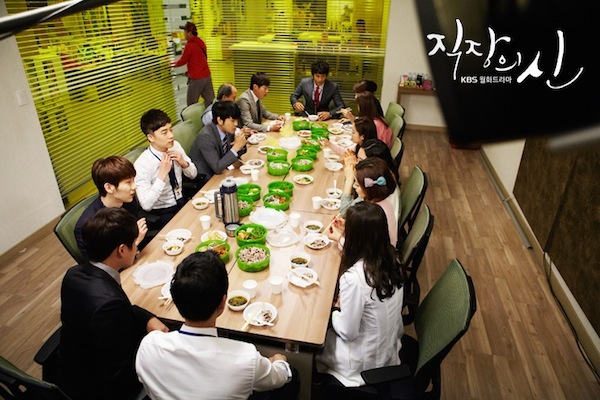 dee2 May 08 2013 12:05 pm i love this drama so much, very different with kdramas as usual. Comedy genre in this drama so entertaining but look natural. Hahahaaa..loves Kyu-Jik when he got so much trouble with Ms.Kim :)) Ah! 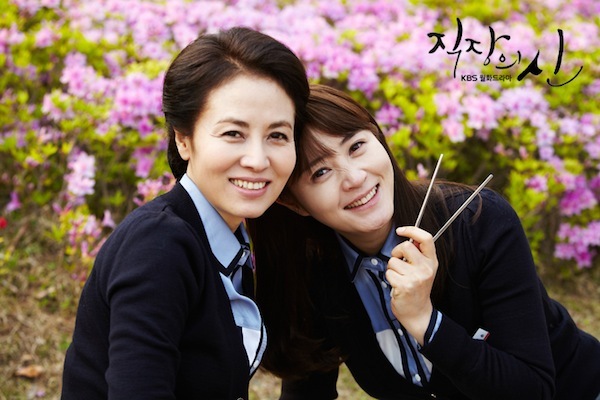 and i see how sweet the relationship between Jung Joo-Ri and Moo Jung-Han >.< Really anticipated these two on next episod. albalicious Apr 24 2013 9:12 am the first episode was really funny, specially the pororo scene=) looks promising and the rating is steadily rising..
aros Apr 11 2013 11:16 pm Where is Lee Hyun Jae? I've been looking forward to seeing him in a new drama! yuki Apr 03 2013 10:00 pm the plot is same as style. skrwitch Apr 02 2013 10:43 am This is a good drama so far. I would rate it 7.5/10 stars. But to be honest, the only reasons I am watching this is because Oh Ji-Ho and Jo Kwon, but I'm starting to like Jung Yu Mi. mia Apr 01 2013 3:41 pm Oh Ji Ho's Hair looks silly n weird. i will not watching it unless the sylist or staff of this drama change oh ji ho's hair style into a Better one or atleast he doesn't have this Curly hair anymore. !! True2u Mar 31 2013 6:34 pm Can't wait!!!. I hope it's funny, because i need some funny!! !